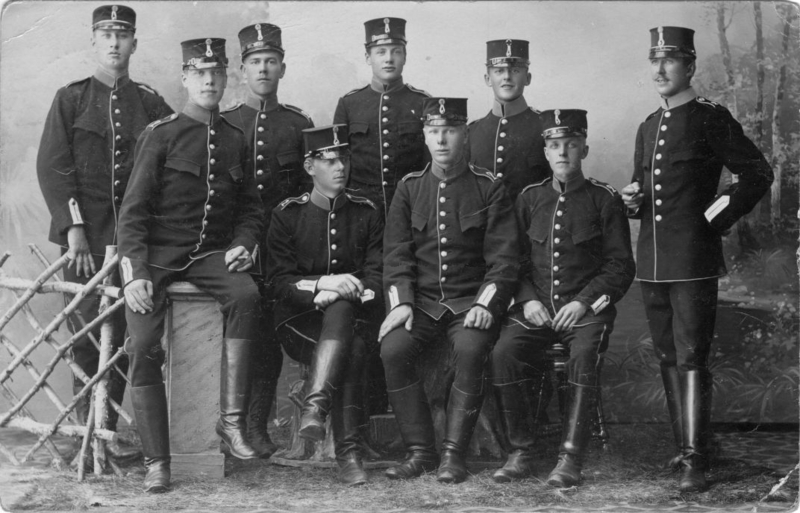 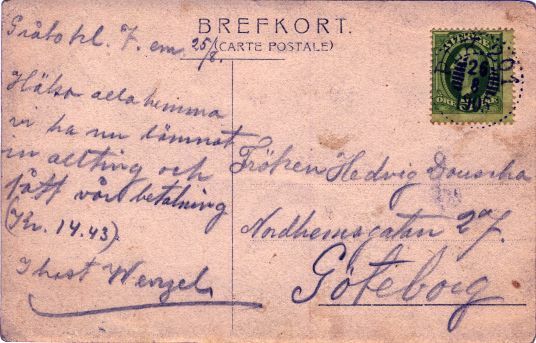 A group of nine Swedish infantrymen on a photo postcard dated 1905. 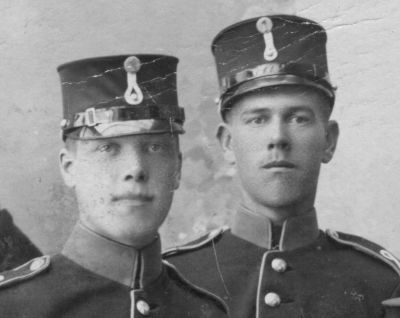 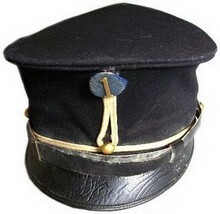 They were the M1895 tunic, or vapenrock. 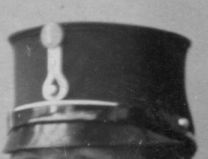 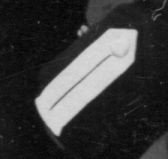 The numeral on the shoulder straps is 2, and on the kepi roundel—1, except for one man who has a medical cross. 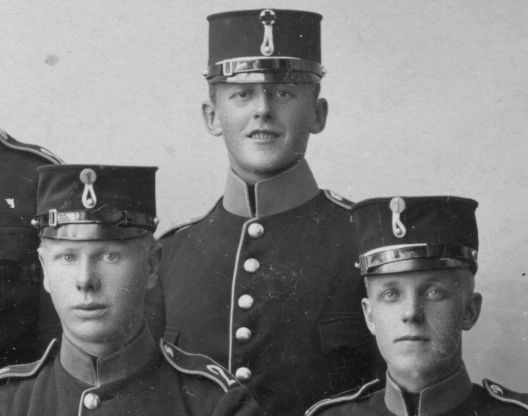 These are all enlisted men with not even a non-commissioned officer among them. 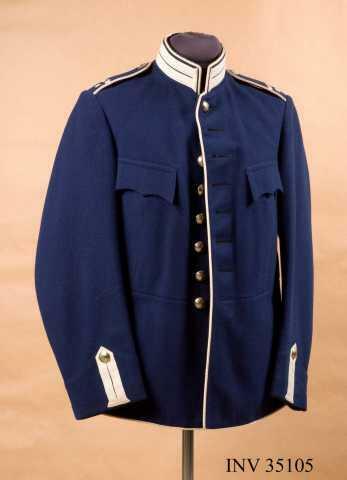 Actual items from the Swedish army museum.The extra lace on the collar was the perogative of guards and some other distinguished units.